Yay, it’s time to go shopping! Depending on your gender, this is either a cause for celebration or a reason to run away - far, far away – and hide until the danger is over. 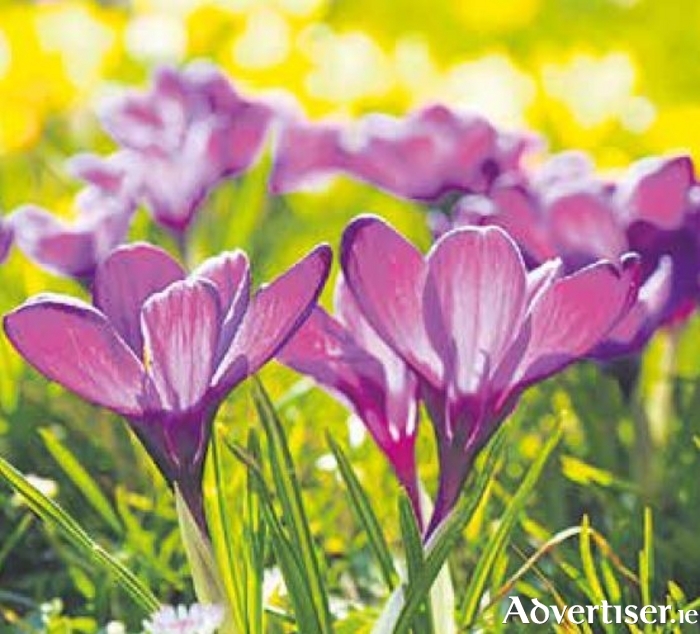 If you’re a bloke, don’t worry, it’s not clothes (or even worse, Things for the House ) – it’s September and time to stock up on spring flowering bulbs to lift the spirits and bring colour and cheer to the garden after the grey dreary days of winter. When you mention spring bulbs, the first thing to spring to mind for many are tulips and daffodils – and it would not feel like spring without them – but the smaller, earlier bulbs are often overlooked so I’d like to tell you about some of them this week. They’re particularly useful in smaller gardens, and even a bigger garden benefits from a sprinkling of early colour close to the house, where it can be viewed from the windows or greet you as you arrive home from work as the evenings start to get a little lighter. They’re great for containers too, and if you’re planting up some pots for winter with violas, heathers and other winter bedding plants, you can pop in some small bulbs under and around these to add extra colour in early spring and make the display last a little longer. One of the earliest to flower is the crocus, and it’s a vital source of nectar for early bees who are seriously at risk right now because of pesticide use. Crocuses look great naturalised in grass, especially close to trees, but if you don’t have room for that, you can scatter them throughout a border and they’ll still look lovely. “Blue Pearl” and “Cream Beauty” are two of my favourites, but you’ll also find shades of purple and yellow if you want something brighter. Next up is Scilla siberica – a beautiful deep shade of royal blue but only about the size of a crocus, it’s almost like a miniature bluebell and super for adding colour to pots and window boxes. Another often over-looked early spring star is Chionodoxa luciliae, also known as Glory of the Snow – bright blue star-shaped flowers with white centres, growing to just 15cm high. As keen gardeners will know, you need to allow bulb foliage to die down for six to eight weeks after flowering to let the bulb store enough energy to flower next year, and with larger bulbs, this can look messy. The beauty of these smaller bulbs is that the dying foliage is very small and hardly noticeable as spring begins. Plant as many as you possibly can – think in dozens at the very least and hundreds if you have the room – you really do need numbers to make an impact. Remember that these bulbs if left undisturbed will flower year after year (unlike tulips for instance ), so they really are an investment. For mail order, check out the famous Mr Middleton – www.mrmiddleton.com who deliver nationwide and have a great selection of these and many other fabulous bulbs. And don’t forget your local garden centre!